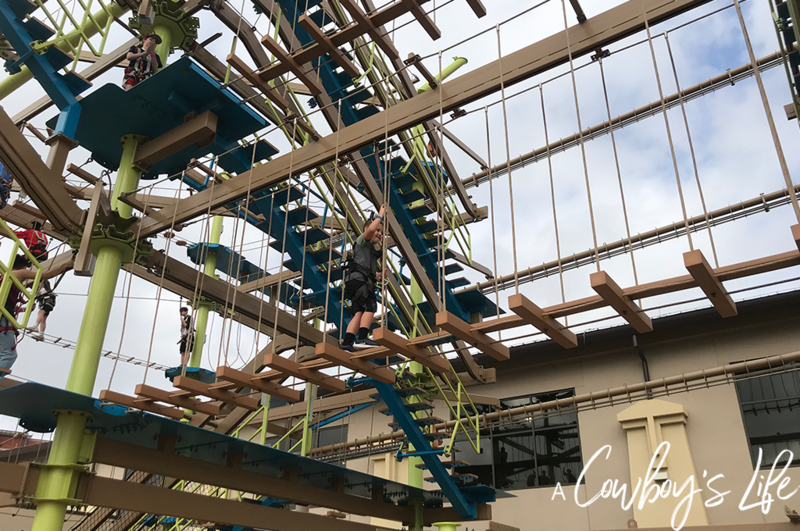 Thanks to Great Wolf Lodge for sponsoring this post. 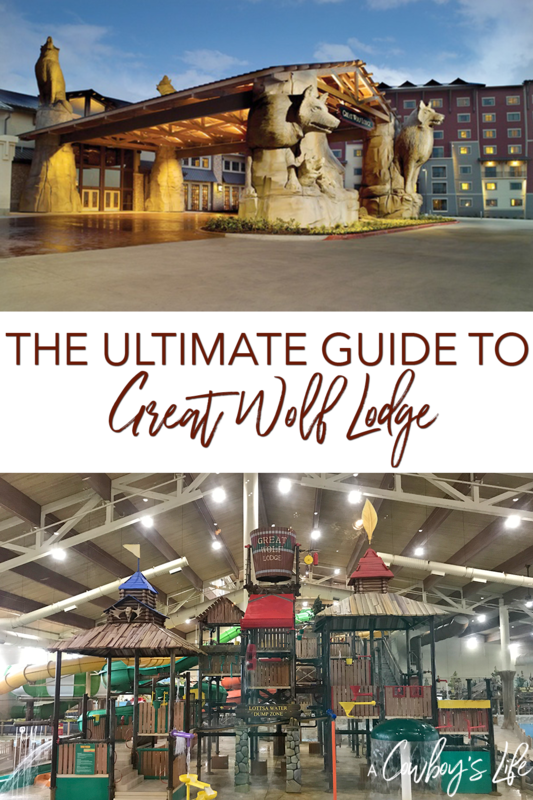 We just got back from spending a weekend at Great Wolf Lodge and had an absolute blast! It’s the perfect weekend getaway for the family. 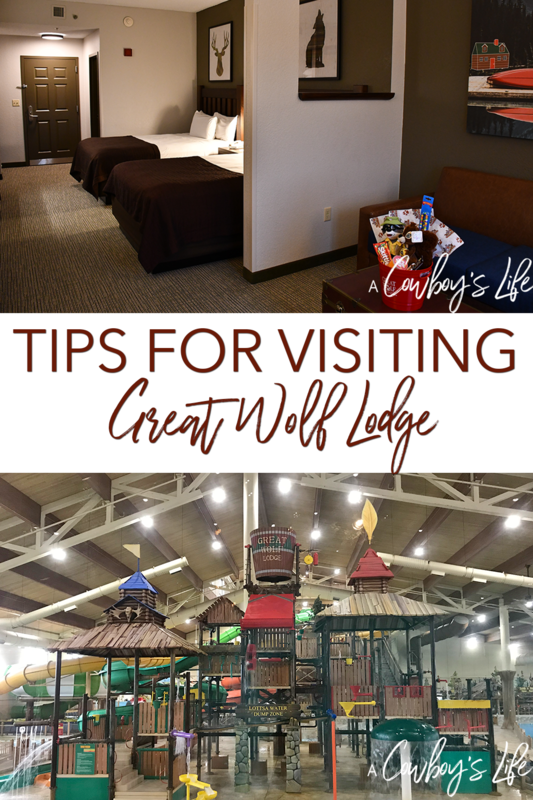 We stayed at Great Wolf Lodge in Grapevine, Texas which is nestled in between Dallas and Fort Worth. Everything you would pack for a typical vacation. 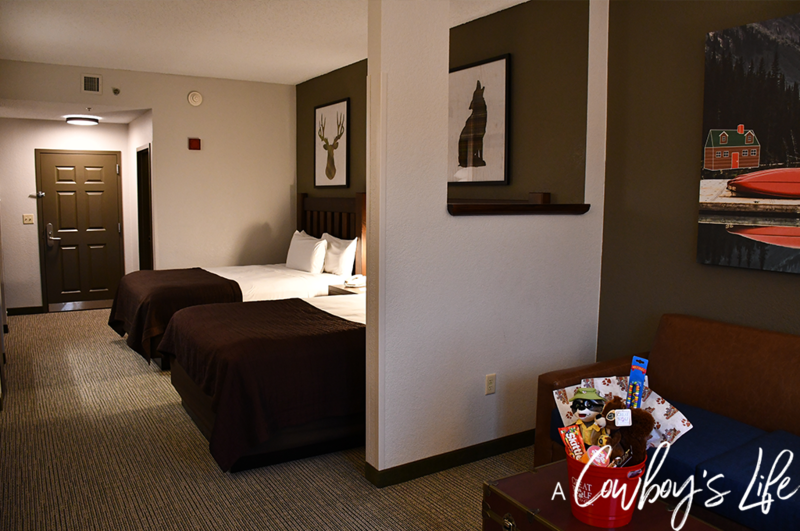 Great Wolf Lodge is laid back, so keep it casual. Be sure to pack shorts and a couple of t-shirts (no matter the time of year) because you’ll want to be comfy while playing MagiQuest. Floats, lifejackets and towels are provided at the waterpark. So many activities! 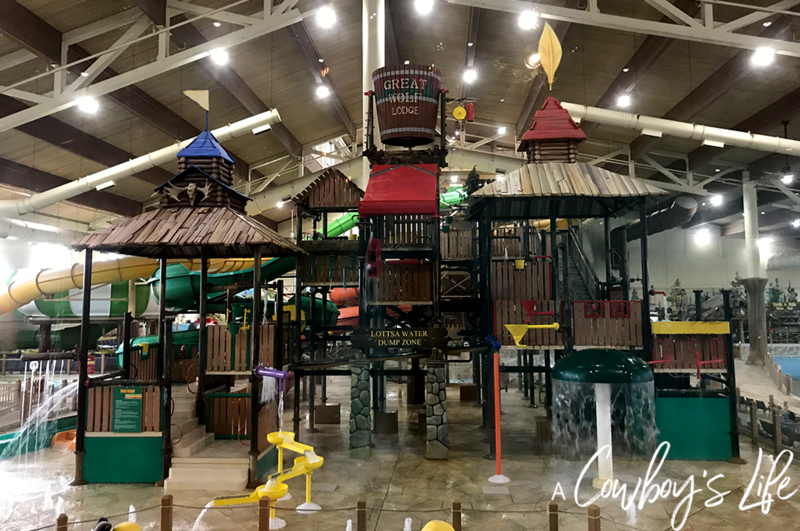 There is of course the waterpark, nightly story time, dance parties, arcade, ropes course and even a kids spa. 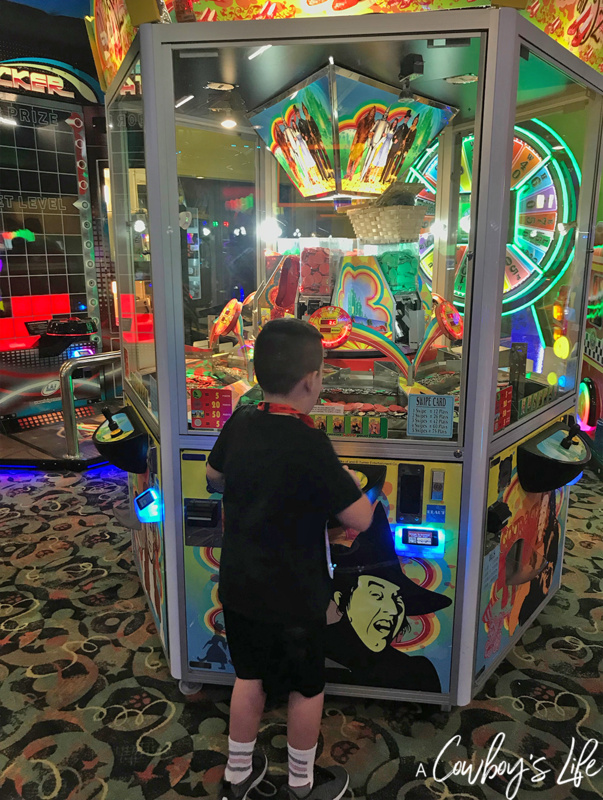 We spent the majority of out time at the waterpark, arcade (there was a giant slinky that my son was determined to win!) and playing MagiQuest. 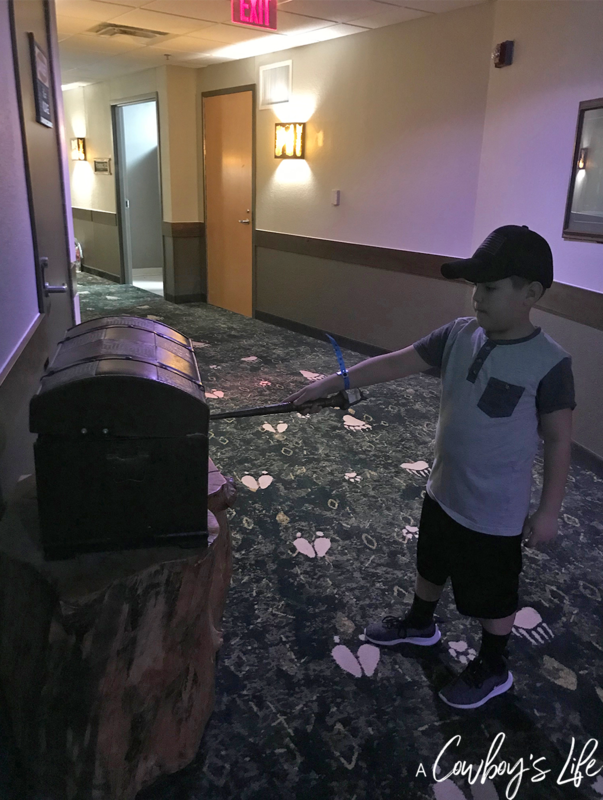 MagiQuest is basically a interactive scavenger hunt and was VERY popular with the guests. One of the neat features is that the players need to go up and down each floor of the lodge to find the treasures. So I suggest skip the elevator and use the stairs to make sure your child is good and tired by the end of the day! 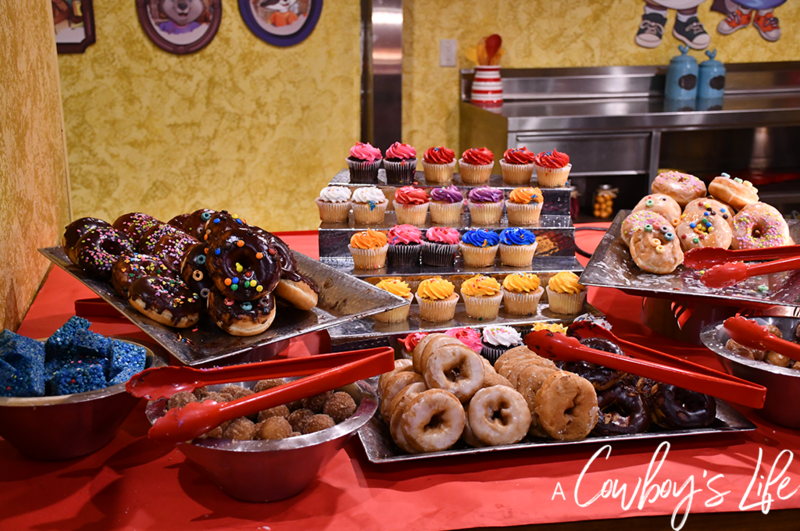 Great Wolf Lodge Grapevine has plenty of dining and dessert options. The entire resort is nut free and more than willing to accommodate any dietary restrictions you may have. 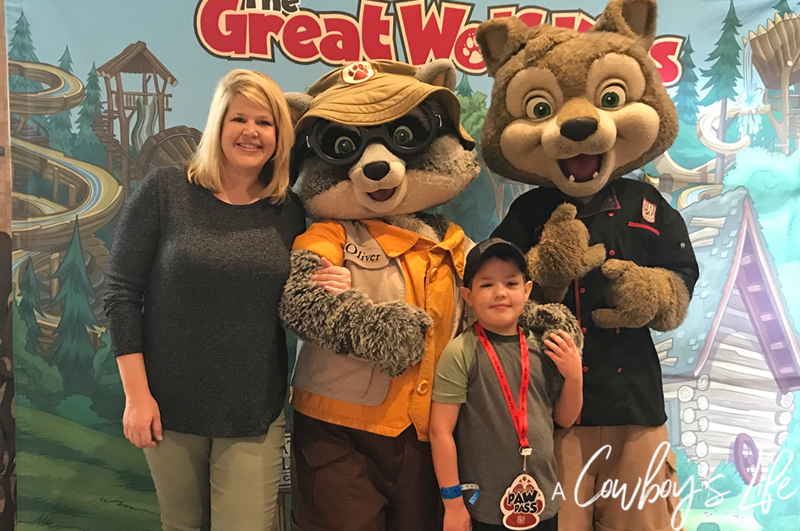 We are partial to character breakfast at Loose Moose Cottage because my son absolutely loved getting his picture with the characters. Plus they have a separate kids only buffet with all the kid friendly food you can imagine. Purchase the Paw Pass – You save by buying the activities as a package deal. It is worth it! Your wristband is your wallet – The credit card you have on file is connected to your wristband. So you don’t have to worry about carrying your wallet around for when you need a snack or to add more money to your arcade card. It also acts as your room key. Allergies – If you have any allergies, just call the hotel before your arrival and they will make sure accommodate your needs. Stay all day – On the day you check out, you can still play for the rest of the day. We put our luggage in the car and packed a change of clothes for after the waterpark.